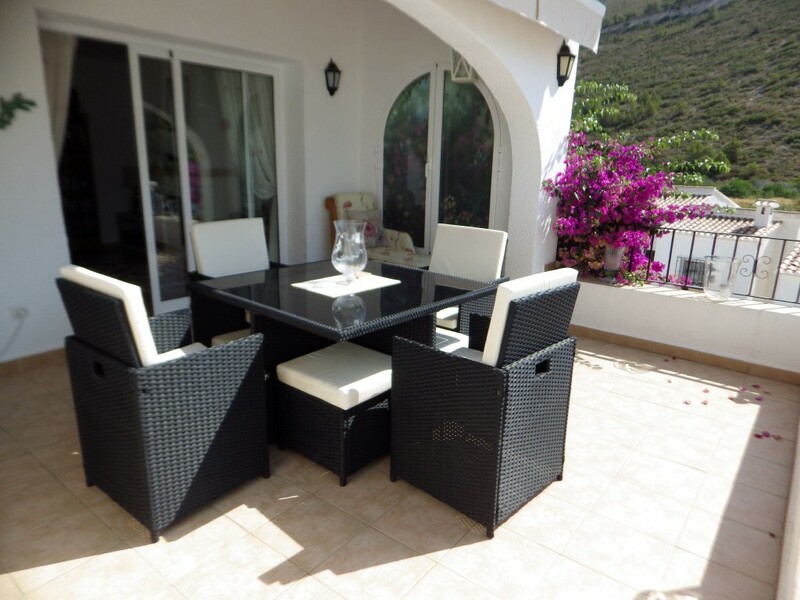 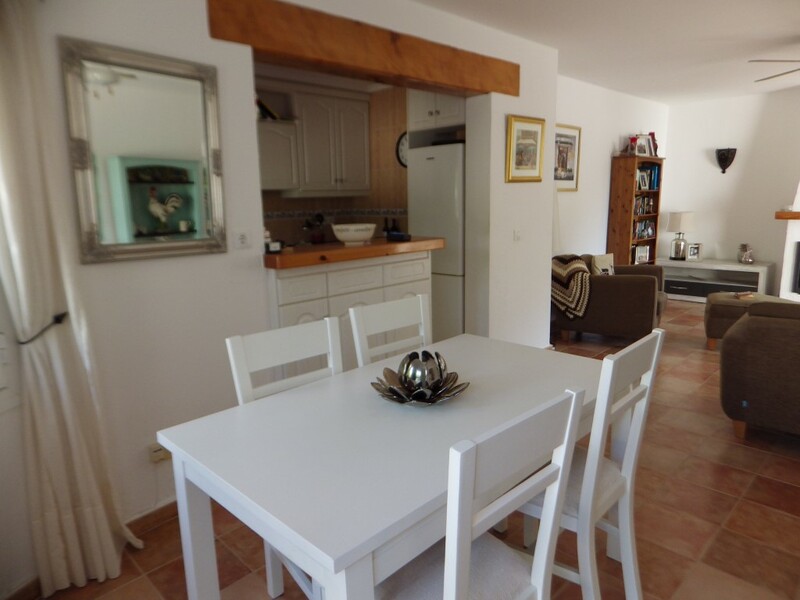 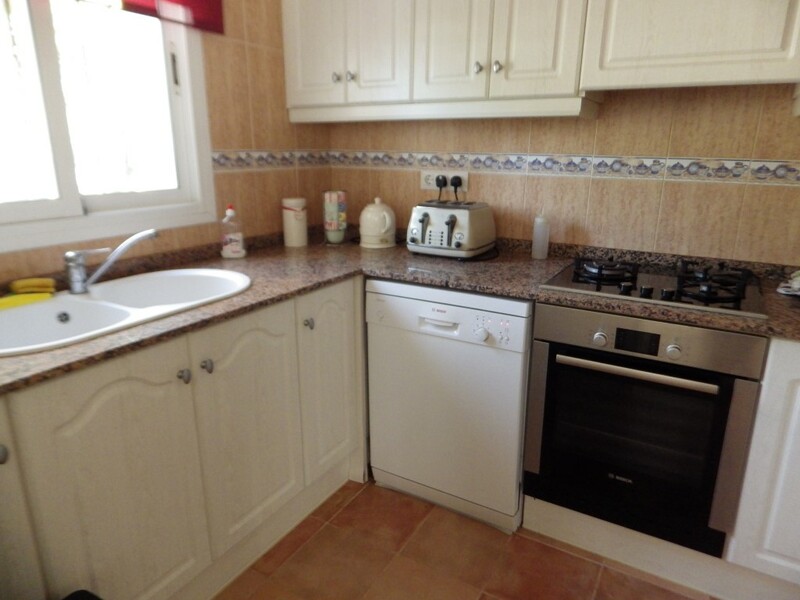 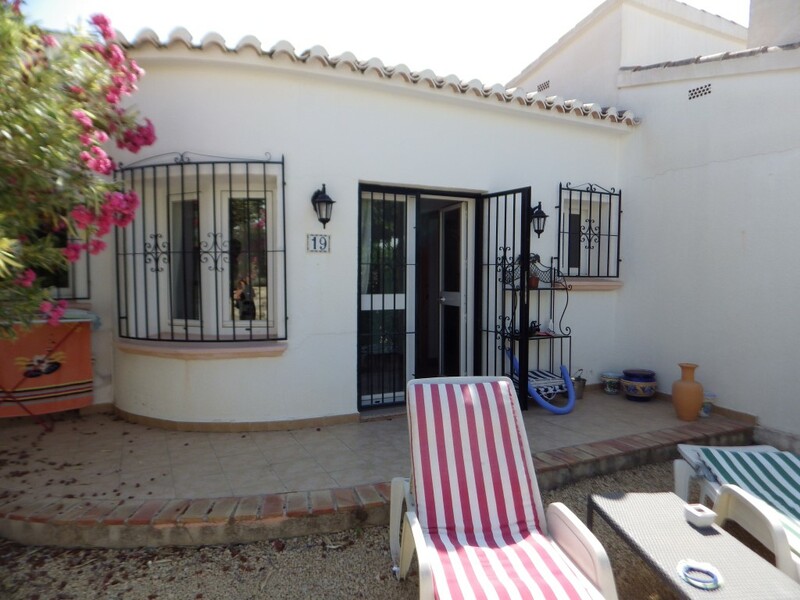 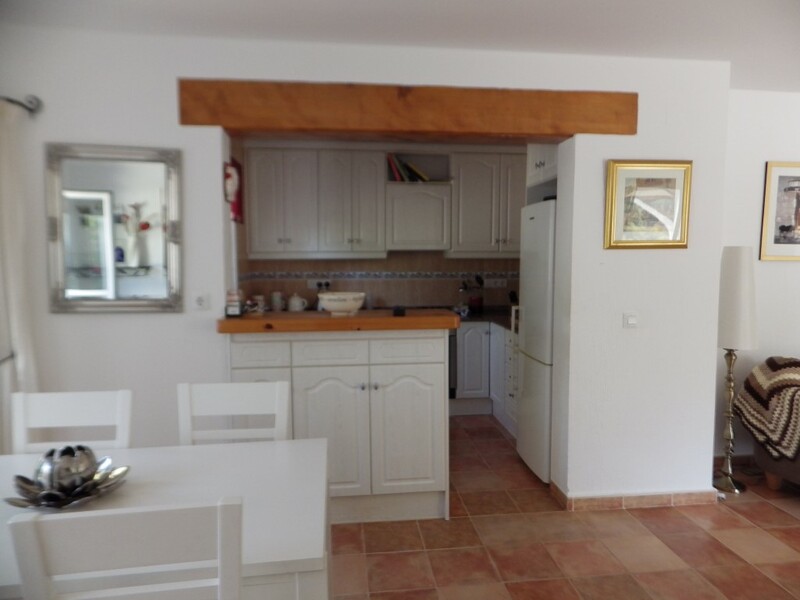 Charming 3 bedroom 2 bathroom villa for sale on a lovely complex in Benitachell (not Cumbre) between Javea and Moraira. 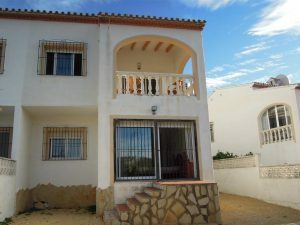 Set over two levels, The three bedrooms and two bathrooms are on the lower floor with the lounge,dining room, kitchen and open naya with sea views on the first floor. 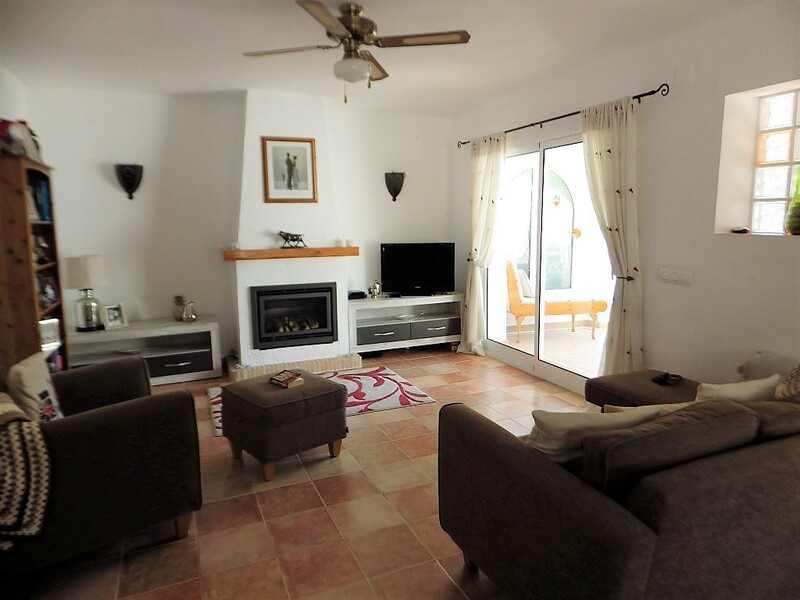 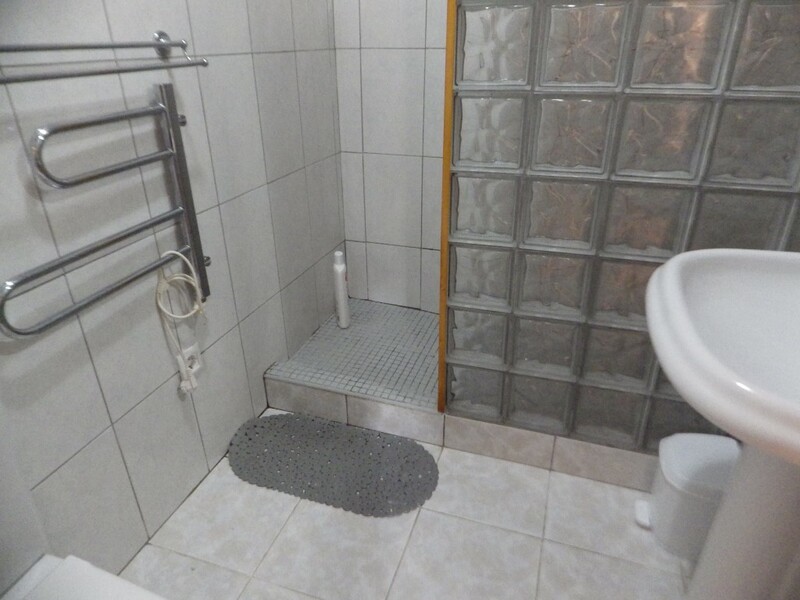 the property is well maintained with modern fittings, featuring a lovely lounge with feature fireplace. 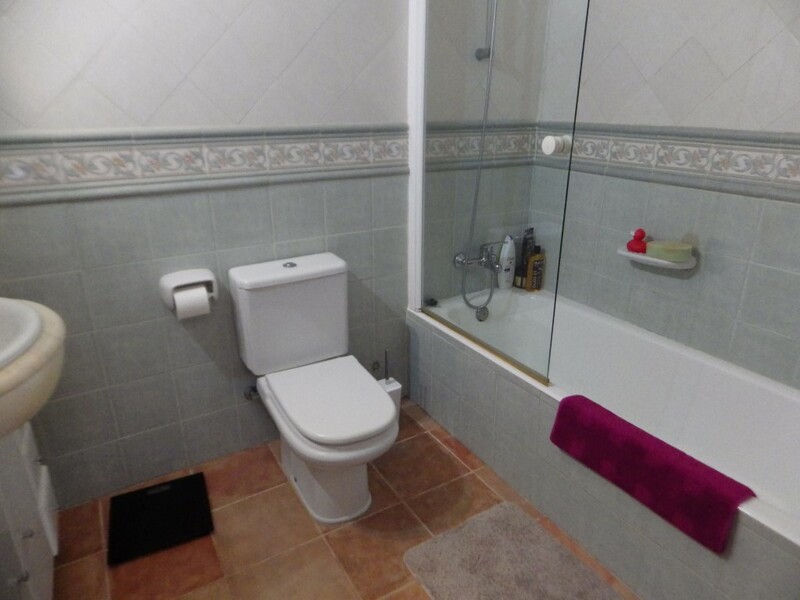 The villa is heated by gas central heating. 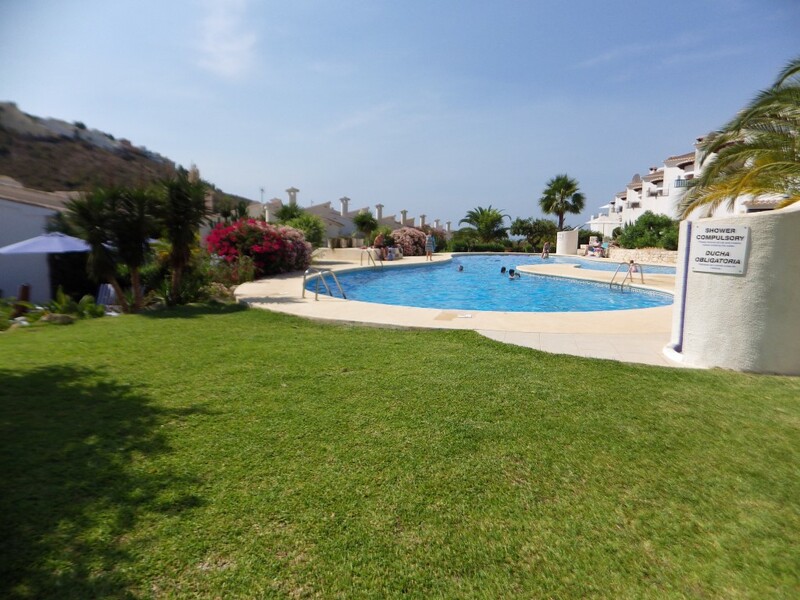 Outside, the property benefits from a private garden, terrace area with sea views and a driveway There is a large communal swimming pool and gardens.